Labor Day was big this year for me and the Xtreme Dream Team. First we returned to Havana for the year anniversary of our swim from Cuba to Florida. We have made many friends there over the years. They are huge sports fans in Cuba and they spared no energy nor kindness to our Team during each of our crossings, in terms of research, reports on the Havana coastal winds and currents, and entry/exit for our flotilla of boats. It touched my heart to be able to formally thank my dear friend, El Comodoro Jose Miguel Escrich (dark jacket) for the long list of essentials he worked hard to produce for us. We were told there would be a celebration for us as well, but we had no earthly idea what would transpire. For the first time in 30 years, the Cuban and American flags flew side by side in an official government building. For the first time in 30 years, the Star Spangled Banner played at an official government ceremony. 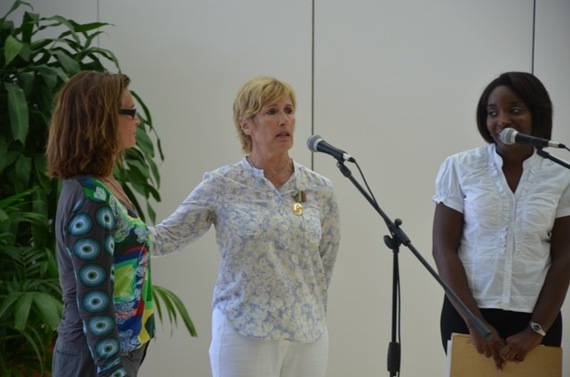 Our Team, all of us hands on hearts, cried openly when our National Anthem rang across the white marble floors. And then it took us by surprise, but the Cuban officials cried as well. They were moved to see how honored we were. 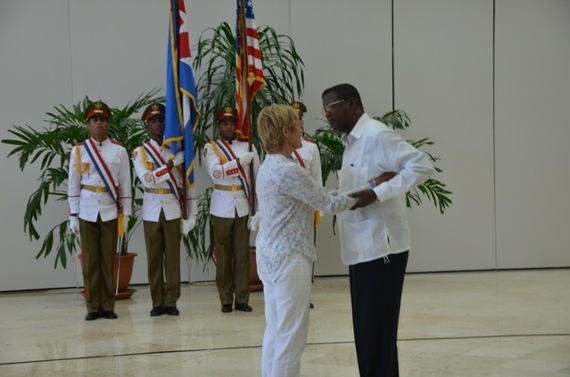 How proud I am to be the first American ever to receive the Cuban Sports Medal of Honor. Many of the great Cuban champion athletes were there, including 7-time World Champion heavyweight boxer Felix Savon. 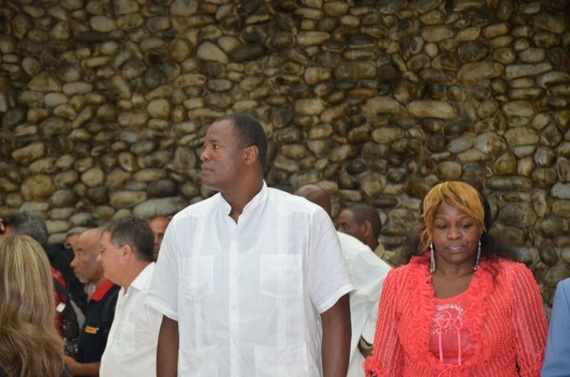 Several of the Cuban political heavyweights conducted the ceremony. At the far left of the Cuban line is Miguel Diaz-Canel, First Vice President of the Council of State and Ministers. The gentleman pinning the medal on me is Cristian Jimenez, Minister of the Institute of Sport. 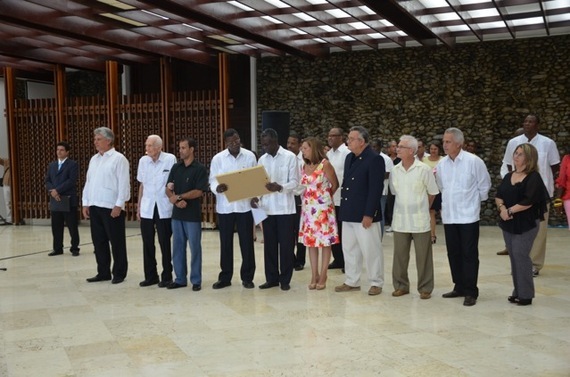 And the elderly gentleman second from left is revered Jose Ramon Fernandez, a hero of the Cuban people, an early comrade of Fidel and Che, and one of the earliest Ministers of Education under the Castro regime. The Cuban education system is regarded as superior all around the world. It was a special day for me, for our entire Team. Our Cuba Swim was never a political enterprise. But it was certainly a human statement of connection, our beautiful country to theirs. Cuba is close to my heart. Always has been. Always will be. It was no accident that I chose this world record distance to be in this particular geography. Modern times are replete with the history across these Florida Straits. And that history was without question part of the story of my Cuba Swim. This medal from the Cubans means the world to me. And we had a ball in Havana. We went to the Swim start spot, where Bonnie had grabbed my shoulders a year before and said to me “Let’s Find a Way”. 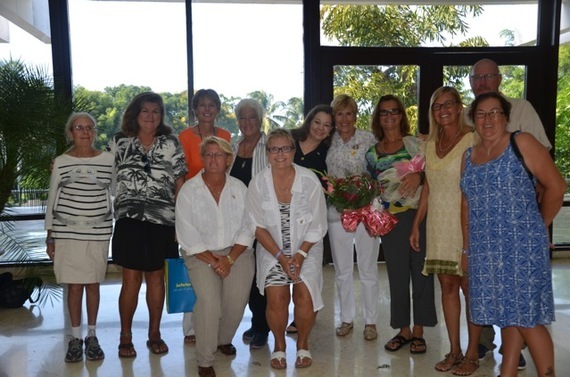 We danced salsa with our Cuban friends and this time enjoyed ourselves in high spirits, whereas I had always been on edge, almost out of my mind with adrenaline when at Marina Hemingway for the start those five times before. And on the heels of the Cuban celebration came the icing on the Labor Day cake for us. 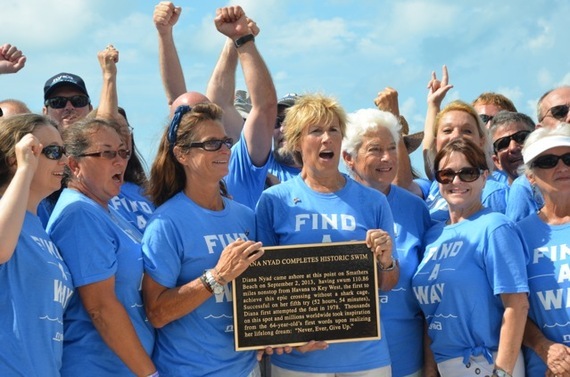 We were then feted back in Key West, by the Mayor and the City and County Commissioners, with a beautiful bronze plaque that will live permanently at the very spot where we walked ashore a year prior, Smathers Beach..
My Team stood proud in their Find A Way shirts. I looked down the line (sorely missing our navigator John Bartlett, whom we lost last December) and beamed with admiration to remember the smarts and dedication and innovation these good people brought to the Xtreme Dream. Key West is my home away from home. As I said to the crowd on Labor Day, most ultra athletes and adventurers wind up sequestering in a small village outpost as they wait for conditions. For climbers, it’s usually a Tibetan village. Well, my outpost was Key West and I hit the Expedition jackpot to be “stuck” in that idyllic town. Not only is it post-card stunning, but the citizens of Key West jump to assist in every large and small way imaginable. 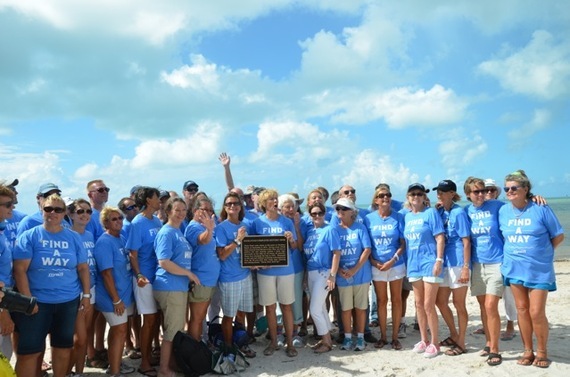 From Havana to Key West, last year it was a swim of 110.86 miles. This year it was a double-whammy celebration of sports achievement, of city-and-national spirit, of Team bonding. 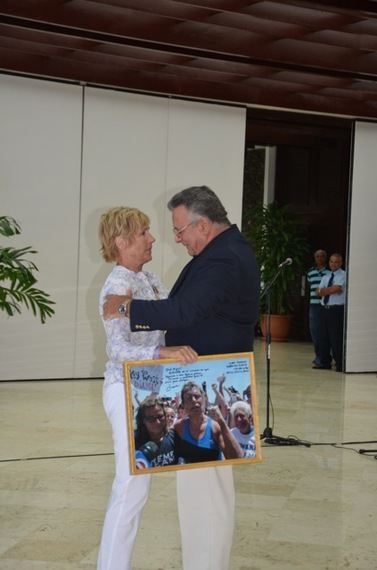 It was a thrilling journey, the 35 years of chasing that Cuba Dream. And it’s been a thrilling year since the long-awaited walk up onto that faraway shore. I am working on a memoir for Knopf. The new Key West theater, The Studios, will debut my one woman show ONWARD! February 19-22, 2015. I had a chance to meet President Obama in the Oval Office. And now the Cuba Sports Medal of Honor. Believe me, I am duly humble in light of all these inspired experiences. But it has been said that it’s not what you get when you achieve your dreams. It’s who you become. Spending Labor Day weekend with my Teammates reminded me that we took that epic journey to prove that reaching for the stars brings out character and courage and profound trust of your friends.